CareerArc is a recruiting software that combines social media management, jobs distribution, and employer brand solutions to help organizations maximize their return on employer branding. "Great Social Media Recruiting tool"
I love that it works with twitter, facebook and linkedin. I also love the great customer service from the reps!! This product has given us better results of qualified applicants. It also brings an extra boost to your overall recruiting strategy. I also love the ability to integrate the location map on our website. The learning webinars are a nice bonus too. I haven't found any one thing that I dislike. I wish I had more time to utilize the dashboard and the learning features. I love this product and it's backed up by great customer service!!! It brings the aspect of social media recruiting to your overall recruiting strategy. I find that we get quality applicants not just quantity. I love that my rep and I have a set monthly call so that we can go over the results of the product and make any necessary changes. "Career Arc is a fantastic platform for management." I like the extremely user friendly interface and navigation of career arc. The ability to post to all platforms of social media and also schedule these posts in a timely and reoccurring manner is great as it means I can turn my focus to something else while working until the posts I have going out need changing. Not much I dislike at the moment as I am new to using the careerarc site. One note I have is that I was at a conference and as we do not have full access to my company's twitter account but I can post tweets via career arc but I would find it extremely useful if career arc had a post now button for tweets which send directly therefore we can stay in time with conferences online presence. Perhaps engaging and possibly being able to live tweet may be one for events. This means that during conferences for example we can still be part of the online conversation as we might not have the online access and this is particular when conferences may be in different continents. I am posting campaigns and social media posts. The biggest benefit I have realised is the ease of scheduling posts to go out and not have to worry about them unless they need changing. I look forward to working more with career arc and unlock more benefits for my own use and to also help drive my company. "Easy Social Media Integration "
The jobs are auto-shared on all social media platforms. This is not a total solution to your social media recruitment strategy, but it does make sure that all of your jobs are listed there so that it can be seen and consumed when a follower or passive candidate comes across the company via another content delivery, by searching or because they follow our job openings. There is not a great content assistance tool- would be helpful to be able to pull in RSS feeds for keywords and pull industry articles and company blog share automatically as well as "suggestion" tool; for social media content sharing. "Social Recruiting At It's Best!" CareerArc helps us improve our social media presence and engagement. The job map is an awesome interactive source that drives high numbers of candidate interest. CareerArc's user friendly dashboard allows us to collect, retrieve, and analyze data with ease. Our point of contact is readily available to assist and answer questions. There are not any recommendations for improvement at this time. The new dashboard is very user friendly. 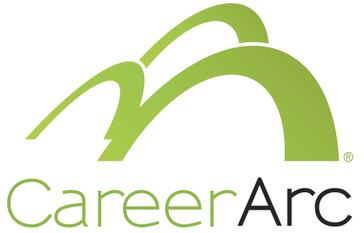 CareerArc is providing a great source that allows us to analyze our social media presence. With this data we are able to improve our engagement on various social media platforms by increasing posting frequency and increasing our use of tags. "Great products, even better people"
Super easy set up, dashboard reporting A+. Customer service is second to none. My management group loves the interactive map and we've seen an uptick in applications coming through social channels. ATS job tagging (our system is limited). Need to understand your social media recruiting needs and how to leverage CareerArc's offerings to improve them. CareerArc has taken over the administrative function of social postings for us, as well as brought many great ideas on how to improve brand and expanding our audience. The jobs maps has been incredibly powerful and management really appreciates that. The follow up and follow through from the time we first signed a contract has been top notch. "Easy to Use- Very User Friendly"
The platform is extremely easy to use, and I am able to schedule out postings very easily! I can plan days, weeks or months in advance. I also like that the URL shows up shortened as many of my campaigns have long URLs with tracking codes. Many of the photos that I would like to use for a campaign are not resized properly, so it makes it difficult for me to have an array of different images. The support team is very helpful in CareerArc. You have a rep that is very easy to communicate with and can help you with anything you need! We've also found that this solution can help greatly with branding awareness, as well as specific needs such as hard to fill roles or career events that are up and coming. The ability to post to multiple social platforms with one click saves a lot of time! We are able to easily distribute career events and other hard to fill positions. They are always helpful! I love this company because we always have a lot of questions and they take the time to get the answer and make sure we understand everything! Love everything! Hoping to see more opportunities with posting on LinkedIn. We needed to increase our social media traffic and we have doubled that just with 3 months! "CareerArc has provided a means for my open positions to be visible for both perm and contract"
The admin panel is the absolute best! Very user friendly and comprehensive on the information presented. Also, their support staff are amazing! Love the speed/ease of it. It allows our branding message to be consistent through out our lines of business. You don't have to be tech savvy to get a posting and it doesn't take time out of our day to keep up with posting. If I had to list something, It would be the alphabetical list that our reqs are listed in; it would be great if we could have search-ability and the name of the req listed, as we can have 40-50 reqs and it would be nice to have the name listed as well. Give it a try; you have nothing to lose, but time. Getting out jobs out there on LinkedIn where professionals are looking at them; Done in a precise format with all the triggers. It shows continuity in brand where we have several entities under our parent company umbrella. "Amazing product, awesome customer support"
The ease of interaction and automation of the product. The portable job map tool is by far our favorite as it allows candidates with direct line of sight to all openings across the regions covered. Nothing at this time. We have been in production for less than 2 months. "Engaging easy to use platform! " Career Arc makes it easy to manage multiple job opening across all of your social media platforms! Each social media platform has an additional cost for auto scheduling. We are trying to spread the word of our many job postings via social media, without taking up all of the time of our Social Media team. We have to re-activate our social media channels intermittently and didn't always get timely reminders. However, it looks like CareerArc now has these on a schedule so hopefully the issue has been eliminated. We primarily looked to CareerArc to help us manage social media. The customer service, the products that are offered and the value of the services. CareerArc allows us not to have to worry about our social media recruiting. They handle it for us. "Outstanding Customer Support & Service"
Love the combination of recruiting and candidate care products along with caring and competent team to support our organizational goals. At times it feels like we aren't reaching the right audience to get candidates. But we don't give up. Great tools and features. Always improving features to add value. Take the time to train and understand how to maximize the software. The ability to quickly sort through multiple business applicants and identify the candidates we are looking for to fill niche positions. There’s not much to complain about, the interface is great and the offerings are excellent. It helps up put the right people in the right positions within our company. It helps our Recruiters promote their jobs without having to put all the effort in posting every day. "They take the thinking out of the processes "
My contact Jackie is always coming up with great ideas to make things better. All the posting look the same and I need to keep up in new images for a variety. Getting my positions out through different channels quickly and efficiently allows for candidates to see openings without delay. Maybe more useful for corporates than start-ups? Feels quite hands on with the rep.. Helping us get our jobs out to various social media platforms in a timely manner and without a lot of effort. The product is very valuable to bring in leads with a good CPC. Can't drill down on referral data, have the ability to drill down on map traffic would be valuable. Finding clinical staff and closing open positions. The whole entire CareerArc package! We need to get more clients on this platform. The on-boarding is a pain ( client related ) but once it's live it Rocks! Time management is key when it comes playing the social media sandbox. "Great combination of new technology and good old customer service!" Our team is able to bring the latest recruitment technology to our clients. The customer service is very hands on and consultative. The time time zone difference makes it sometimes hard to get an instant solution. Was a good passive way to bring in candidates. Mobile app is the way to go these days. Was too expensive and cost per hire wasn't good enough. After last year, company decided we couldn't justify keeping it anymore. I like the social media integration the most. It helps me extend my reach. Customer service could be better at times. Time constraints. I have very little time, but CareerArc helps me reach more candidates with minimal time resources. * We monitor all CareerArc reviews to prevent fraudulent reviews and keep review quality high. We do not post reviews by company employees or direct competitors. Validated reviews require the user to submit a screenshot of the product containing their user ID, in order to verify a user is an actual user of the product. Hi there! Are you looking to implement a solution like CareerArc?